The lead character is captivating, and the criss-cross nature of the stories kept me would up to the very end of the series. My friend Janice introduced me to the Junior Bender Mysteries, which are the hilarious escapades of a burglar who also works as a private eye for other crooks. I exhausted that series, and so took up the Poke Rafferty series. These Bangkok thrillers are the first-person stories of a writer who has enmeshed himself in Thai culture, but cannot keep out of trouble. 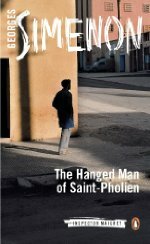 It’s interesting to me, as a writer, to see the development through the Simeon Grist series to what Hallinan is able to do in his breakthrough Bangkok series, and then on to the freedom and skill in the Junior Bender stories. I discovered Lashner when I picked up The Barkeep from an AlsoBot suggestion. I found his writing to be riveting, so I started in on the Victor Carl series—a ne’er-do-well attorney in Toronto, who can’t keep out of desperately uncomfortable situations with shady characters, and can’t keep his wise-cracking mouth shut when the police show up. A day with any Victor Carl story is a day well spent. You do not have to read this series in order. 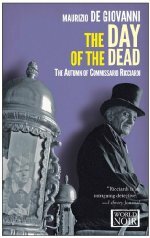 I’d read the previous three books in series, and waited to tackle Book 4 when I had time to sink into Comissario Ricciardi’s world. This Thirties detective in Naples has a peculiar talent: he sees those who died violently in their last few seconds. It makes for a grueling life (there’s a would-be romance developing throughout the series, slowed to a crawl the detective’s view that he can’t be intimate with another person). The Crocodile is a modern-day mystery (it doesn’t look like it’s the basis of a series). It’s interesting to compare de Giovanni’s view of Naples in the Thirties versus the current world. This is a more cinematic story (perhaps intentionally so) than the Comissario Ricciardi series. It’s a good thriller, though I found myself disconcerted at the end. 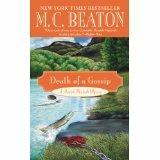 A washed up detective finds a washed up body below his hermit’s roost. Nice local color, good characters. After several intense thrillers, I needed a break. Who’s a more reliable cozy detective than Hamish Macbeth? A pleasant side trip to Scotland, without freezing your fanny off. 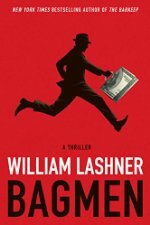 Eisler repacked and republished his John Rain thriller series. 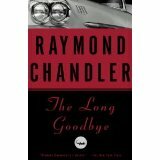 There’s good spycraft, great characters, and insights into criminal society in Japan. The CIA doesn’t come across as very stellar operatives in these stories. 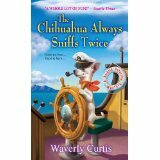 Just in time for when I needed another cozy break from all the noir I typically read, my friend Waverly Fitzgerald and her writing partner Curt Colbert came out with the latest Pepe mystery. OK, if you know me, you know animal mysteries aren’t my thing. But these are fun. If you need a new cozy or like chihuahuas, start with Dial C for Chihuahua. I’m a Dennis Lehane fan. As a willing reader, I let myself get distracted by the compelling aspects of this story, so that the ending was an emotional slap upside the head. 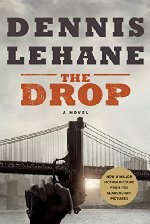 If you haven’t read Lehane, this might be a more gentle way to start than the emotionally devastating Mystic River. I love this author, and love this series. But this latest one feels like a packaging of backstory, with the lead character coughing up something he’s never been able to swallow. Heavy recommendations to read Indridason, as author of one of the best Icelandic detective series. Start with Jar City. I felt that I had gaps in my understanding of the earlier and mid-century writers who carved the way for current writers. So I dug into a few. I returned to the master to see how he does it—but then found myself so swept up in the story that I forgot to analyze. Chandler makes a brilliant use of point-of-view—not just in making Marlowe “interesting,” but principally in using that viewpoint to establish place, social dynamic, and analysis of the characters. And he does it so naturally, that you ride along with Marlowe, scarcely questioning his insights and choices for action. So many writers who attempt to recreate the “hard boiled” don’t first establish the egg that’s been boiled. Late last week I found Altman’s The Long Goodbye on late-night TV. It’s a great ensemble movie, but it’s one of those great movies that’s just another artist’s creation from the same source material. It’s not an rendition of Chandler’s interpretation of events. And the ending is very Seventies. I was an initial fan of Morse on PBS/BBC (though I don’t find that they bear rewatching). So I wanted to see how the author did what he did. I read the three series-launching stories, and the last in the series. The character Morse doesn’t really wear well into the twenty-first century. He reeks of all that leering, liquored mannish tortured soul that was everywhere in the Sixties. And then, he didn’t really grow and change by the time we get to Book 12. There’s also that last-century Brit mystery tendency to have the viewpoint collect all the data and clues—and then not reveal them to the reader, concluding in a sort of gather-the-suspects-in-a-library ending. A post-modern New York detective under siege. I’m 10% in, and it’s as gritty as anything Price has done (he wrote Clockers, Lush Life, and scripts for The Wire). Like everything by Price, you have to savor every word, every line. 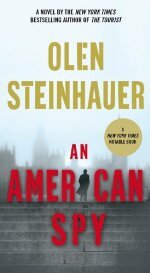 Post-WWII intrigues, from an eastern European perspective. The first 20 pages are a brilliant rendition of bullying in the workplace. The Kindle price finally dropped out of windowing territory, so I can read this now! 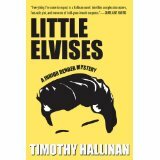 … The next Junior Bender mystery, when the Kindle price drops to something reasonable.